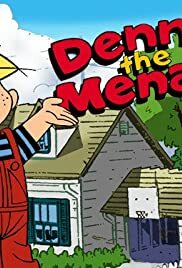 The Dennis the Menace animated series! The animated television series of Dennis the Menace was very good. I'd watch it whenever I could when it was on in the 1980s. The animation was very good and clear. The voices were good for the characters and the characters were also very good and funny. The late great comedian Phil Hartman was a good pick and he was funny! The music was good and fit the cartoon. The stories in the cartoons were good. It was interesting and fun to watch. If you are able to watch this on television or on tape do so because this was one of the great animated shows of the 1980s in My opinion! I recommend it! If you like Dennis the Menace then check out the 1993 feature film starring Christopher Lloyd, Lea Thompson, Walter Matthau, Joan Plowright, Mason Gamble, Arnold Stang, and Paul Winfield! The musical score is composed greatly by Jerry Goldsmith! I strongly recommend the film!